Arrived in Tirana some ours ago the International Monitoring Operation on Vetting Arrived in Tirana. Albanian media report that the persons who will assist the process of Vetting are: Director of Enlargement of the European Commission, Genoveva Ruiz Calavera, which is the chief of the International Monitoring Operation and 3 members of the mission who are from Germany, Italy and Austria arrived this evening in Albania. The United States and European Union have already signed the agreement on the basis of which will be built the work of the internationals about the vetting process. There will be also be a board decision making, part of which will be the director of enlargement, Genoveva Ruiz Calavera, US Ambassador Donald Lu and EU Ambassador, Romana Vlahutin. 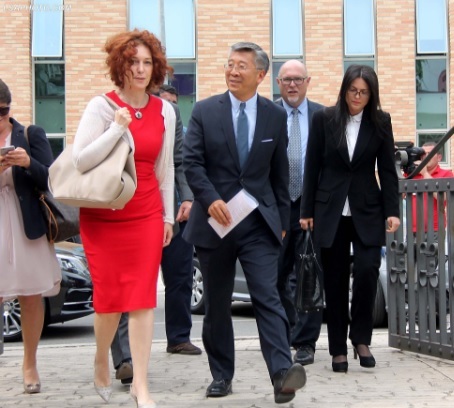 Sources say that the three members of the International Monitoring Operation who came in Tirana today, will stay until the end of the screening process of the candidates for vetting institutions. The work of the International Monitoring Operation starts on Friday with the assessment of candidates for institutions that will make the vetting.